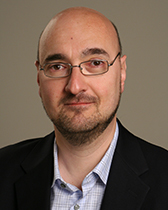 Marciano Siniscalchi's research interests are game theory, decision theory and information economics. His work is especially concerned with developing dynamic models. He also works on economic models of parenting and supervised learning, so as to gain insights into key issues such as the debate about nature versus nurture. He is co-editor of the Journal of Economic Theory.